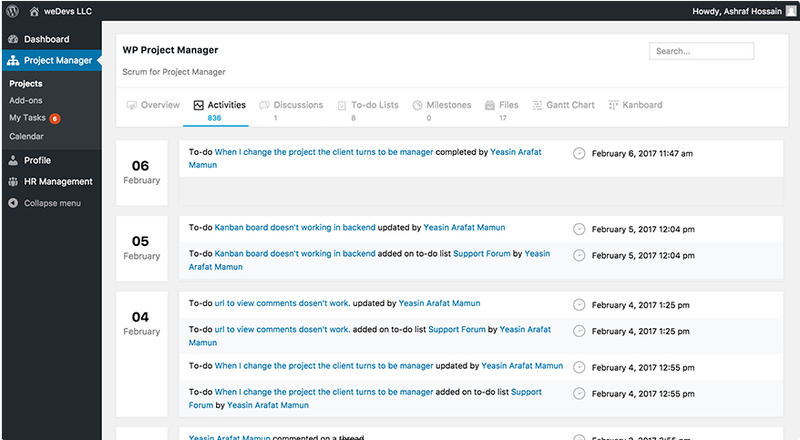 WP Project Manager is a powerful Project Management Plugin for WordPress to manage teamwork and deliver projects timely. 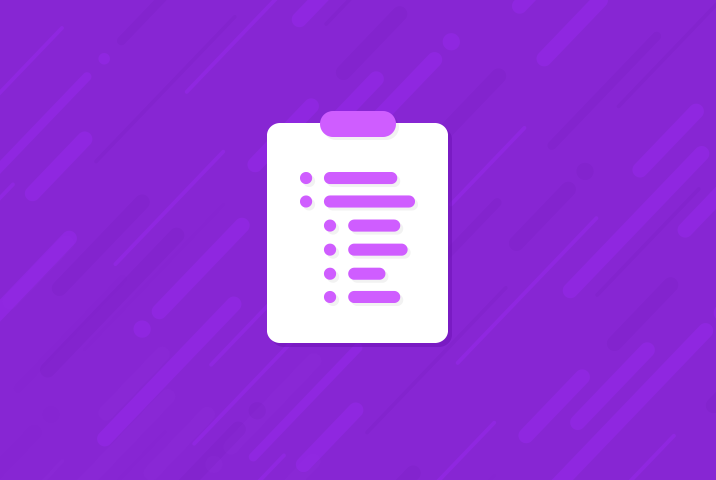 Keep your team work organized with to-do lists, milestones, tracking and advanced task management tools. Discuss, share and efficiently work together with your team to deliver time sensitive results. Track across projects in multiple methods and plan ahead with your team, take the next big leap in performance. 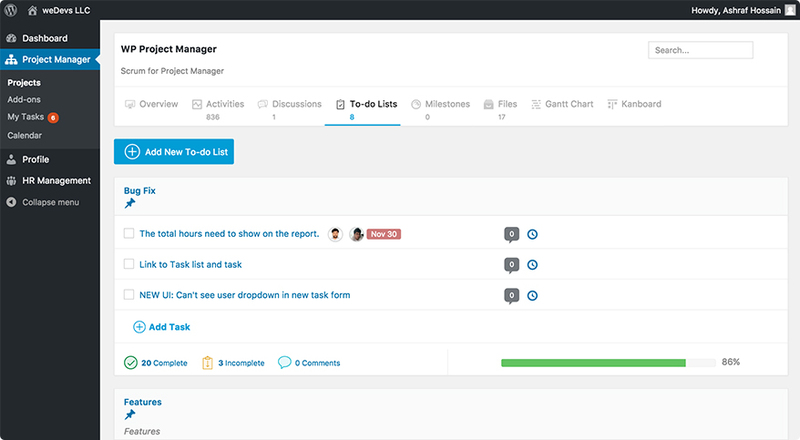 From organizing, deadlining, task prioritizing, team based assignments, chopping down work to the minimal bits & getting the work done with detailed progress reports - All is possible with WordPress Project Management plugin. 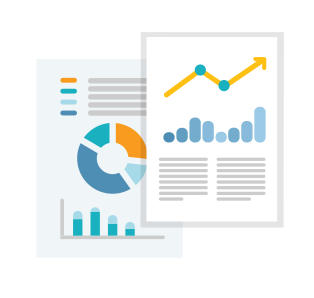 Deadlines and Milestone management help marketing teams to calculate and progress with blazing accuracy. 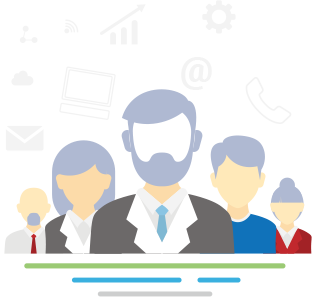 File sharing and discussion with members allow your team to achieve client outputs with much more clarity and reduce the confusion. 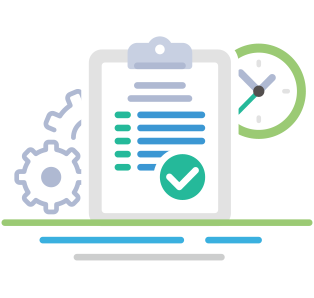 Development teams quick task assigning and breaking down tasks into smaller details, which can all be done effectively with WP Project Manager. 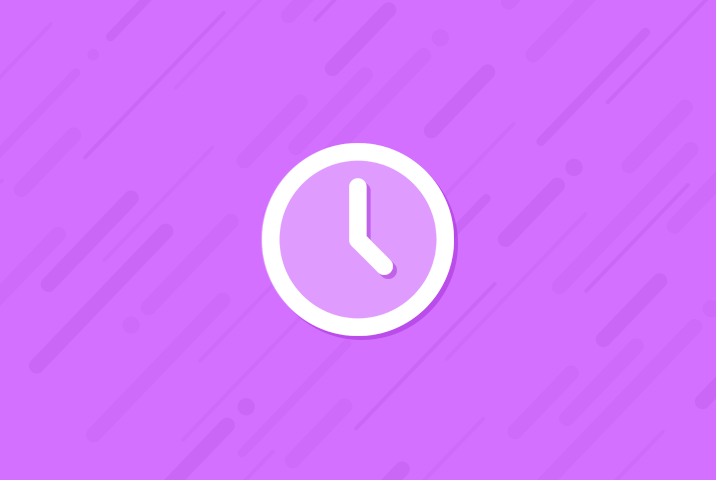 Tracking time on each client, discuss and keep comments on tasks with WP Project Manager. A reliable tool for the happiest support team. Have open channel or private discussion on each project. Divide a project into timeline and goals. An alternate way of looking at your projects and task progress. 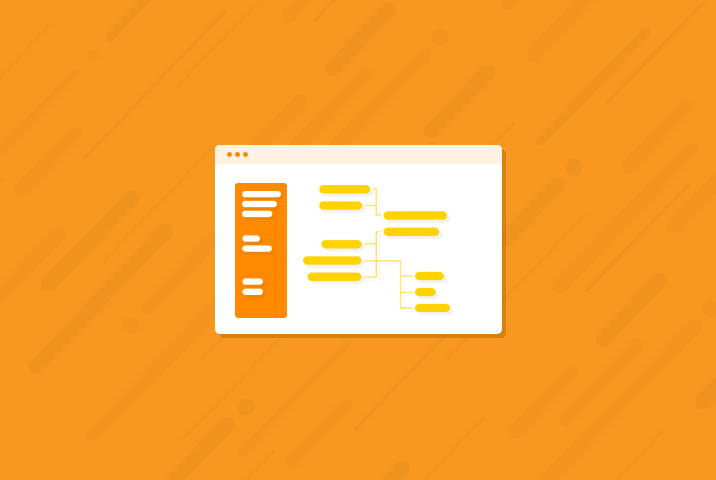 Manage each thread of task with to-do lists for a better perspective at the project. Get email notifications on important actions so that you are never out of the game. A page dedicated to display insights and a calendar based visualization of what your team is working on right now. 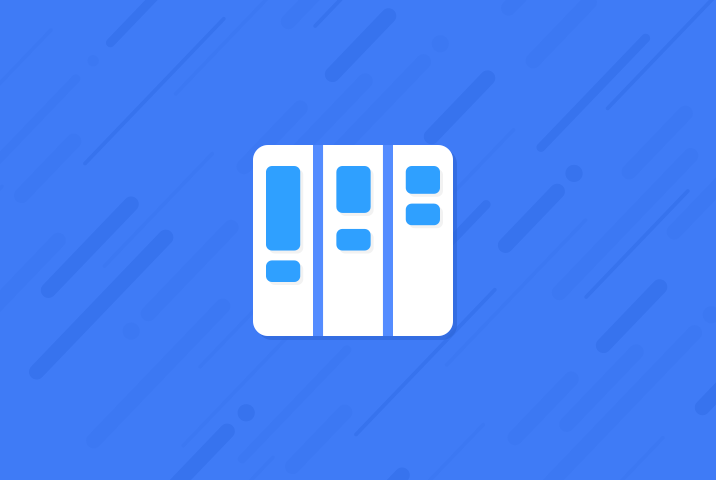 Dedicated Google Drive styled document manager for easy sharing and security. Add much more features with professional extensions needed for specialized teams. 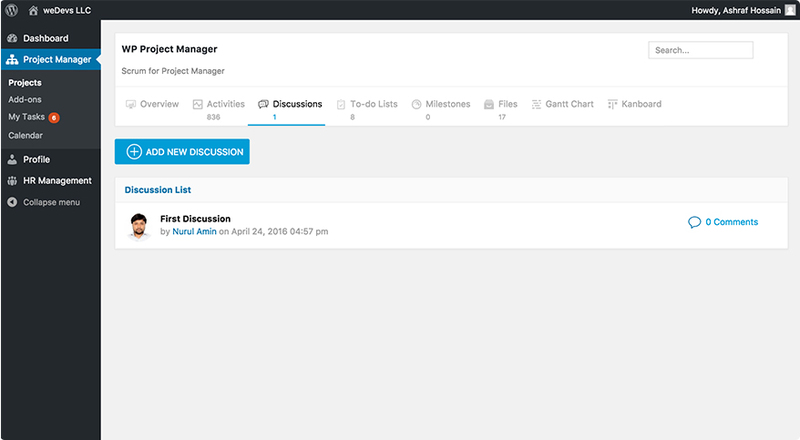 We have built a collection of advanced project management tools to augment ways to attain efficient productivity. 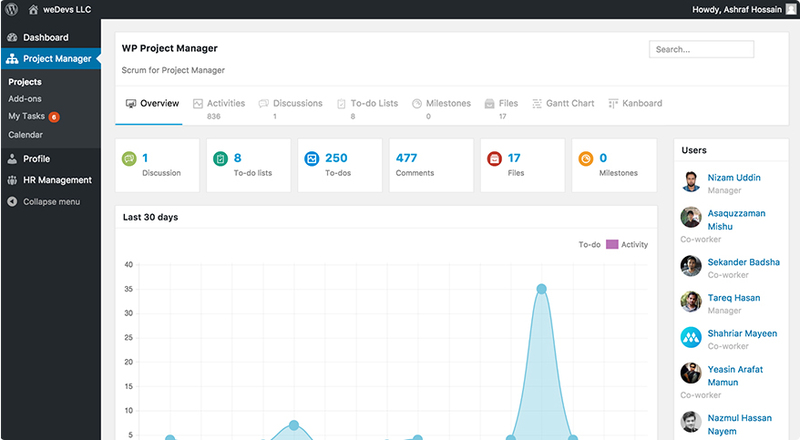 WP Project Manager Plugin has been recognized & mentioned in many resourceful and popular media all over the world. 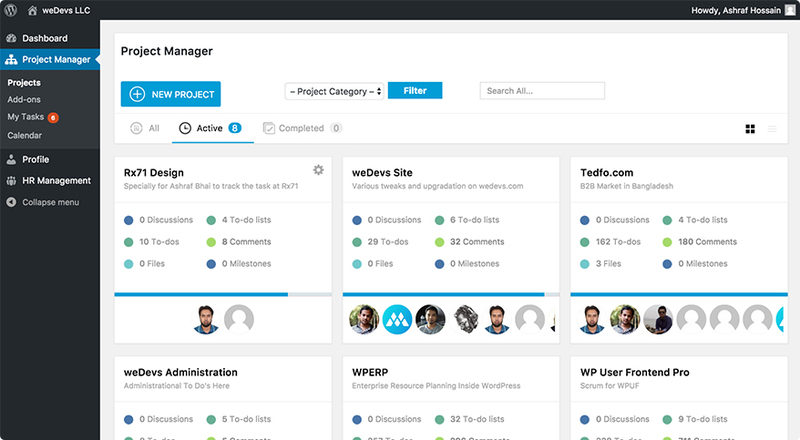 Start Web Managing Your Projects Now! 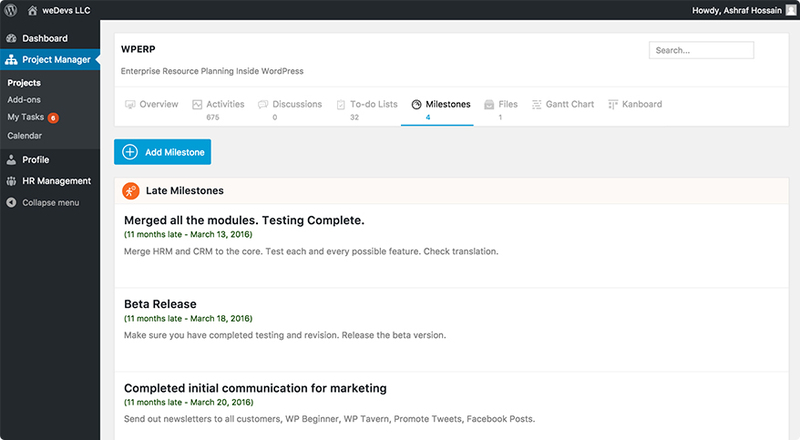 Getting started with WordPress Project Management is very easy. Work cannot wait!